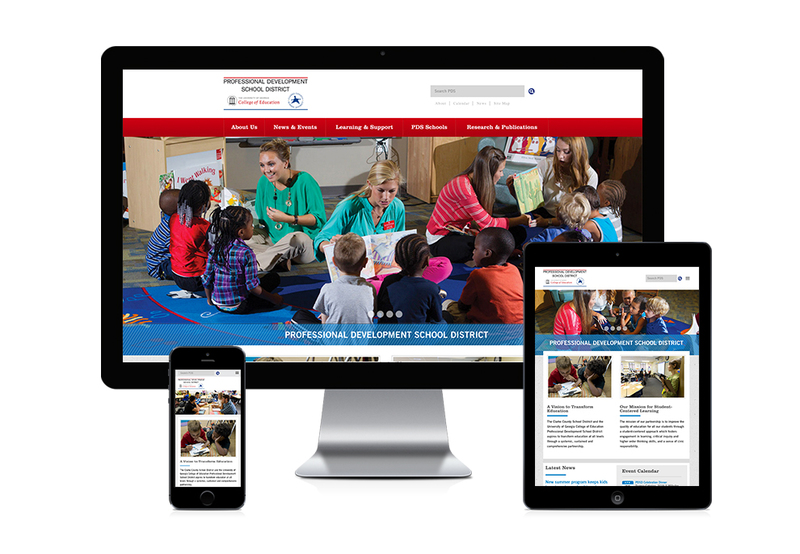 Responsive and developed in WordPress, we designed this site for the Professional Development program, a partnership between the College of Education at UGA and the Clarke County School District. 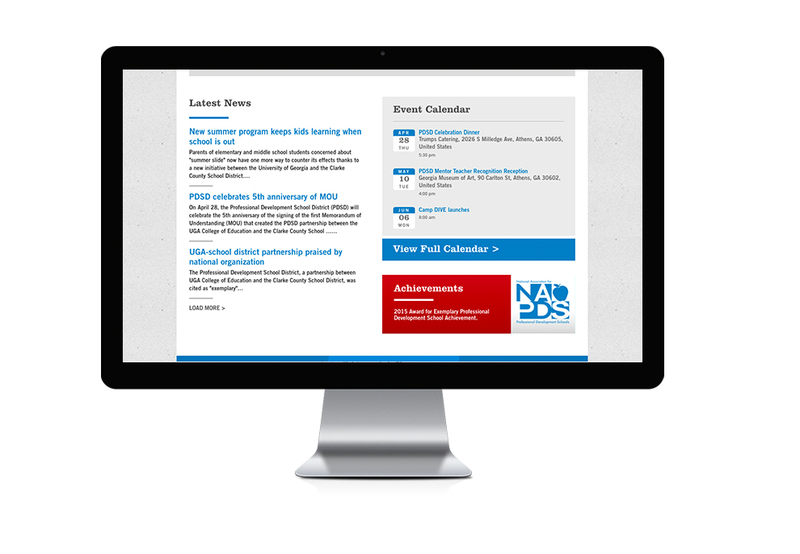 Though there were a few “aspirational programs” at other universities across the country, our client wanted to set the bar higher and give this program a stronger and more informative web presence than had been seen elsewhere. 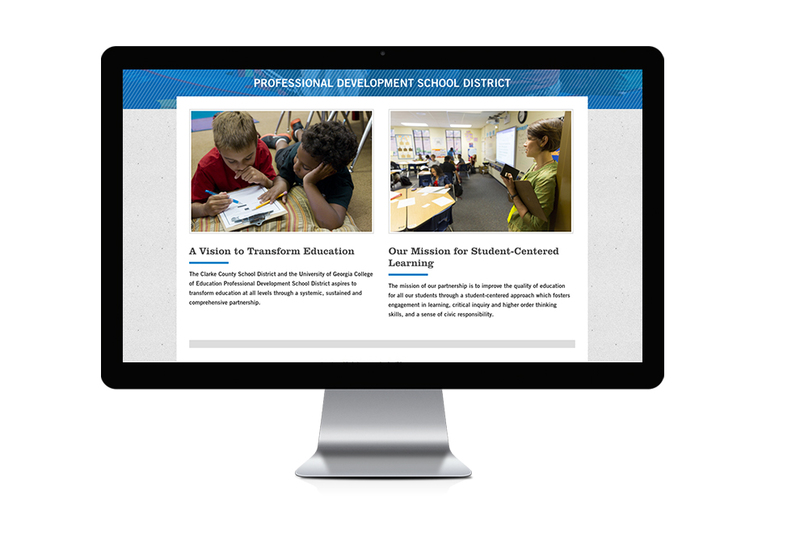 Visit pdsdpartnership.com to view the website.